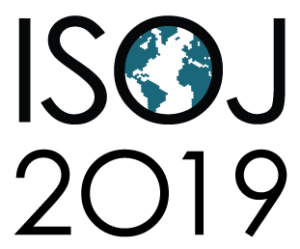 The International Symposium on Online Journalism (ISOJ) will celebrate 20 years in 2019! Join us in Austin, Texas from April 12 -13, 2019 as we reflect on 20 years of online journalism and look to the future of the industry with editors, producers, executives and academics from around the world. We’ve already started planning and promise to make it the best ISOJ, yet. In the meantime, video, photos, stories and more from ISOJ 2018 are available on our site. Be sure to also check out the special themed issue of the #ISOJ Journal, “Habits of Thought,” guest edited by Dr. Jane B. Singer from City, University of London (UK). The journal also features an invited essay by Joshua Benton of the Nieman Lab at Harvard University. Next year’s journal will also feature a special theme: “Media and Democracy in the Americas,” guest edited by Dr. Pablo Boczkowski at Northwestern University and Dr. Eugenia Mitchelstein of Universidad de San Andres (Argentina). The official call for papers will be announced in May 2018. We hope to see you in Austin for ISOJ 2019!